Karen R. Earney, CRNA is a Certified Registered Nurse Anesthetist (CRNA) for Associated Anesthesiologists, P.C. Karen is a native of Sioux City Iowa. 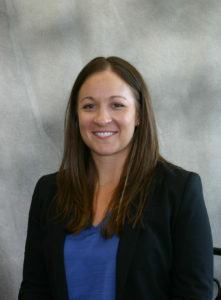 Karen completed her Bachelor of Science in Nursing at Mankato State University in 2010. Karen then completed her anesthetist training with Mount Marty College in Sioux Falls South Dakota in 2017. Karen is married and her personal interests include camping, kayaking, cooking and spending time with her family and friends. Karen has been with Associated Anesthesiologists, P.C. since December 2017.